How common is protein deficiency in the developed world? 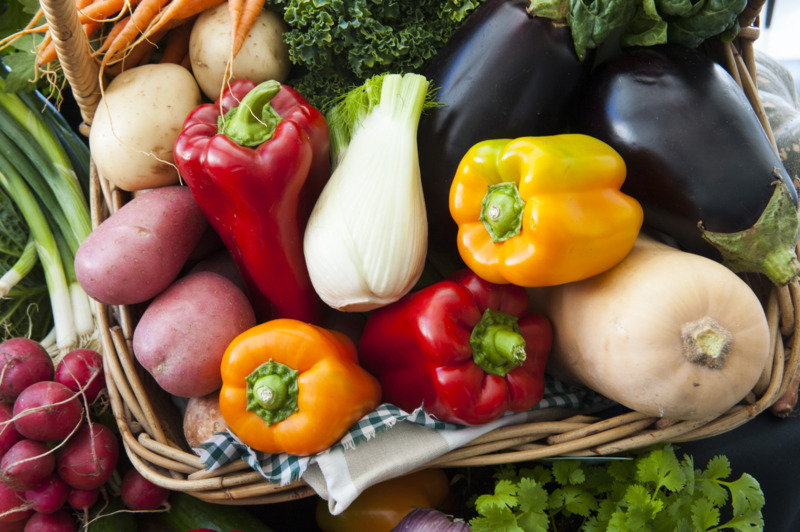 Do those who only eat plant foods stand a greater chance of becoming protein deficient? Is the reason that people are generally smaller and thinner in the developing world because they are not cramming in enough beefburgers? A brief look at some research might help to answer these questions. Protein deficiency – fact or fiction? How much protein do adults need? We’e already looked at the specific question of whether plant-eaters need to worry about getting enough protein (specifically whether they need to combine foods to ensure they get the right balance of essential amino acids) 6 ; but if we’ve known for ages that there’s no real evidence that protein deficiency is something that we should worry about (if, that is, you’re eating enough food – pretty much any form of food, animal- or plant-based), why is it that the medical and nutritional scientific fields have been harping on about it for so long? This suggestion that we don’t have too much of a problem getting enough protein in our diets has been greatly supported by the work of Dr T Colin Campbell 9 , who showed that anything above 5% protein in our daily diet is sufficient to keep us healthy – indeed, once you start getting over around 12% protein (specifically animal protein, of course), Dr Campbell showed that it can be seriously harmful to our health – instigating cancer initiation, promotion and progression 10 11 . From dangerously high levels of protein being recommended back in the 1940’s, the amount recommended has fortunately been dropping ever since, as can been seen from the following historical chart for 1 year old children taken from a 2005 study 12 . However, even today there are still those who obsess about protein, particularly those who advocate Palaeolithic diets 13 . So, what’s the perfect source of protein for humans – that with the best balance of amino acids and at the ideal percentage within each mouthful? Human breast milk 14 15 . So is human breast milk really high in protein? 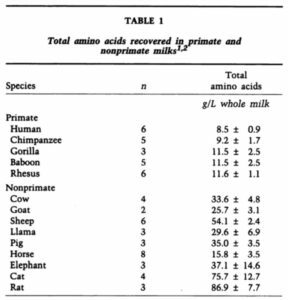 Not at all – it’s actually one of the lowest protein milks in the mammalian kingdom 16 17 . In fact, it’s possibly the lowest protein-rich milks of any animal in the world – at less than 1% protein content by weight 18 . The following chart, taken from the latter study, shows some revealing comparisons. This has serious negative health implications for those babies and children being fed cow’s milk – implications that can be so serious that some studies 19 have warned that feeding such high-protein milk (or substitute formula with similarly high levels of protein) can even be fatal to the baby. This whole subject of the dangers of cow’s milk (really better described as “baby calf growth fluid“) has been covered in a previous blog 20 . We’re talking about humans here, of course. Adults require no more than 0.8-0.9 grams of protein per kilogram of lean body weight per day 21 . Indeed, the following chart, taken from the latter research, indicates that some people don’t even need that much protein. 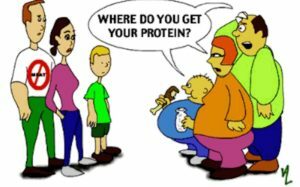 Eating too much rather than too little protein is the real ‘protein problem’ our society faces, as pointed out by T Colin Campbell 22 and in other studies 23 . So, I hope that’s put your mind at rest if, that is, you ever lose sleep over whether or not you are getting enough protein, particularly if you are eating a WFPB diet. Plants contain all the protein you need, as can be seen in a previous blog 24 and from the following video by Dr Michael Greger 25 . Next Next post: How Innocent Do You Want To Be?